In South Africa we have a pressing need to develop a national culture of reading. To fall in love with reading, children need access to books. Not just educational books, but books that stimulate their minds, entertain and delight them and stir their creativity and imagination. The easiest way to help is to donate books or support a literacy organisation. 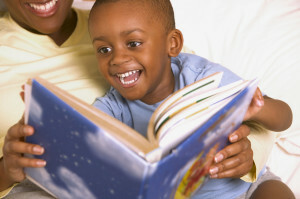 Just over 50% of South African families own no books for recreational or leisure time reading. It’s essential to publish and distribute books in the official languages. It’s also important for all children to become fluent in English so they can enter the global workplace. Once the wonderful world of books is opened up to a child you will give them a gift that lasts a lifetime. Has your child outgrown his picture books or early readers? Donate your old children’s books to your local library, children’s hospital or shelter. Alternatively, donate your books to an organisation that will distribute them to schools and organisations in need. Nal’ ibali – www.nalibali.org They have a list of organisations needing books. The Link Literacy Project are based in Johannesburg and they run reading classes every week at selected schools. They require primary school books. Steve Biko Centre in King Williams Town. nomsad@srmholdings.com Their Johannesburg office will collect the books from you. help2read – http://www.help2read.org This developmental organisation addresses child literacy by providing supplementary literacy tutoring in disadvantaged primary schools through a largely volunteer workforce. Book Dash do wonderful work by creating children’s books in a day through volunteeers in the writing, graphic design, editing and illustration fields. Find out how you can get involved. Let us know if you are an organisation providing books for children to read and we’ll add you to this list. help2read is a developmental organisation founded in 2005 which uses a two pronged approach to social development in South Africa. It addresses child literacy by providing supplementary literacy tutoring in under resourced public primary schools through a largely volunteer workforce. Thanks for contacting us. We don’t have any projects on the go at the moment but will be in touch if we do. In the meantime perhaps get in touch with your local library and ask if they require any help such as reading to children or setting up community libraries. It’s helpful if you explain what skills you have and what tasks you are able to help with. Thanks for getting in touch with us – it looks like you do amazing work and we’ve added you to our list. Let us know if there are any ways we can support you further. Love The Book Tree. Hi, we would like to run a drive at work from now until March next year to collect books and then donate them to a worthy cause. Please let me know the procedure to be followed and how the hand over of the books will take place. What a great initiative. There are two ways to to this. You could collect funds and donate these to http://www.bookdash.org and they will use the funds to print and distribute books to children in need. The books have been created for free by professional writers, illustrators, editors and designers. You can look at some of the books on their website. You could collect books and either send them to a school or an adult library in your business area or contact one of the great organisations which co-ordinate book runs. You could try http://bookgivingday.com and ask them for a worthy recipient for next year’s International Book Giving Day or you can contact one of the agencies listed above this article, such as http://www.thelinkliteracyproject.co.za. Let us know if you need further help and good luck. We’re a private school based in Midrand, Gauteng and we have textbooks that is no longer in use. Any idea of a school or organisation that may have a use for them? I would like to donate some intermediate and high school text books and study aids. I also have some childrens reading books for toddlers. Will you be able to collect from my residence? I live in Lenasia south, Johannesburg. I am about 500 copies of a book I wrote and published in 2008 through Random House Struik. It is called Motherhood and Me and is a book that guides new mothers through the transition and challenges of motherhood. I would like to donate these books to libraries around South Africa, but I am not sure how to do that. Can you advise me please. For libraries you can try http://thebookery.org.za/donate-books/ – they are focused on setting up and supporting functioning school libraries. Good luck and let us know if you need more help! Hi. My name is Gugu Thumbu, i am a teacher libraria. Our school library is functioning but we don’t have enough books for learners, getting the learner involved in more reading will improve their literacy and performance. Our school (Sikhutsele Primary school )is based in mpumalanga -Nelspruit and is located in Barberton, it starts from grade R to grade 9, is a government non paying fee school. Please help me get books donation for our school library, thank you in advance. My contact number is 0824175699. I have forwarded your request to a few individuals who may be able to help. Please also approach the organisations on the Donate page with your request. We will email you with any replies and advice. It sounds like you are doing a great job! Keep it up and keep us posted with your progress. Hello, I have some tertiary textbooks to donate, they are brand new but have to be replaced this year by new editions. They would need to be collected from our Port Elizabeth campus. Please contact me if you know of any charities that would need these. Nal’ ibali – http://www.nalibali.org They have a list of organisations needing books. We cleaned up a bit at home and have a bunch of textbooks, fiction and non-fiction books. Seemed like a shame to throw it away. Could you advise on a place that might be interested in receiving these books? You don’t mention if they are children’s books – if so you may have a local school in your area that could benefit from the books or approach your local library as they may sell them to raise funds to keep running. Other than that any of the organisations on the Donate a Book Page will be happy for books. Hi I am currently clearing out study materials/ books of my daughters, marketing & Accounting degrees, Unisa & UJ respectively, if anyone requires these materials to assist a student to progress & achieve their ” Goals” by donating these books.Please contact me on the abovementioned email address or advise if the books can be collected or dropped off within the Johannesburg (east rand) area. There are two ladies i know from where i live, one is doing a mobile library of kids in Alexandra township and has reading sessions on Saturdays and one runs an after school project from or church in Alexandra. Should anyone wish to donate books or study materials for primary school kids may you kindly contact me. What a wonderful initiative! If anyone has PRIMARY SCHOOL books or study materials please help her out. We will keep your details should anyone call with children’s books to donate. We at high school Postmasburg have a lot of text and reading books we want to donate. Can you maybe help me with someone who would be interested? With regards to text books – if they are outdated we have been told that other schools will not want them either. I am looking for an organisation in the Pretoria/ Johannesburg area that is looking for second hand books, not children but mostly fiction, that is distributed to the underprivileged or elderly. I am happy to deliver them somewhere. Organisations looking for second hand books in Pretoria and Johannesburg could either be your local library, old age homes or hospitals. They often hold book sales to raise much-needed funds. You can also try some of the organisations listed on our Donate page above. We really love the name of your book club. Are you based at a school? We have a small parcel of books for you and will be in touch to organise collection. If anyone in the Book Tree community would like to donate to the Urban Astronauts please be in touch. What a great initiative. We do not have books and resources ourselves so it is best to apply to the organisations listed, as you have. Our other suggestion is to approach businesses in your area for support and funding. Is there a school in Polokwane you could team up with that could maybe help you set up? Please let us know if you have any positive responses. Best of luck! Hy my name is Precious. Im currently teaching at primary school in Mpumalanga. Our school is in a farm with no library. I’m currently looking for library books to start a little library for our learners and to assist our learners with reading. Even textbooks would be appriaciated.